On a special day this first week of April we are giving away 100 Michigan-made, organic Cheeseburgers! 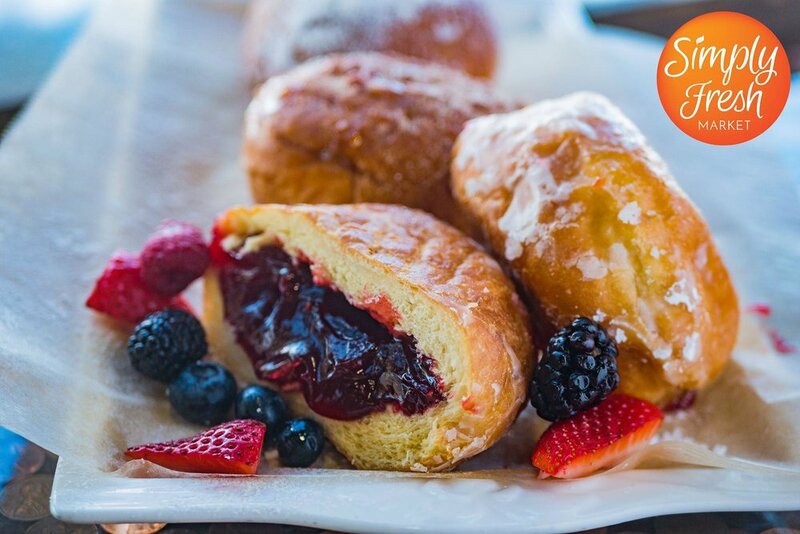 This Tuesday at Simply Fresh we have Paczkis! The amazing crème and fruit filled delectables that come only once a year. Each year we sell out so make sure to get here early to get the best selection.